Exciting times, nail art warriors!! Your new favourite summer nail art accessory has arrived – the Golden Summer nail sticker collection is here! I’ve been dreaming about finding the perfect nail stickers since 2012 and finally, my dream came true. 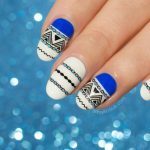 What has started in 2017 as a nail art experiment has grown into a full range of 33 gorgeous nail sticker styles. 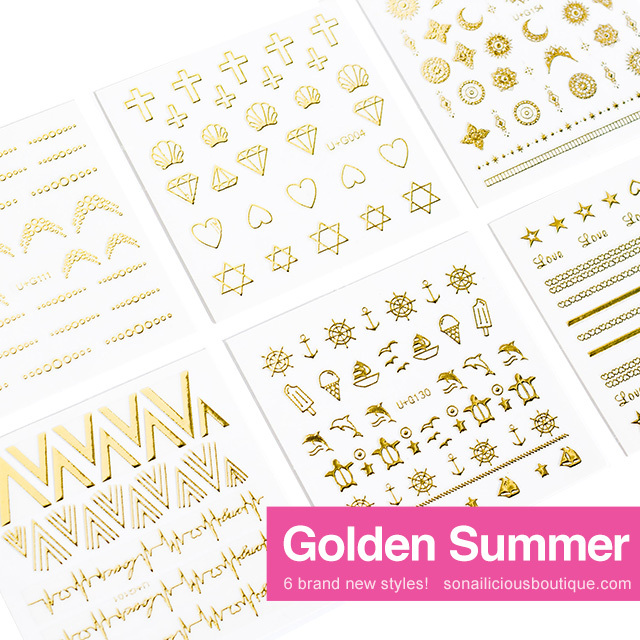 Today our best selling SoNailicious Sticker range is expanding with the new hot summer styles! We are adding 6 new styles to the current range and 4 Limited Edition patterns. From intricate Celestial to cute dolphins and 3D Droplets the new Golden Summer nail sticker collection has every style you need to take your summer nail designs to the next level. 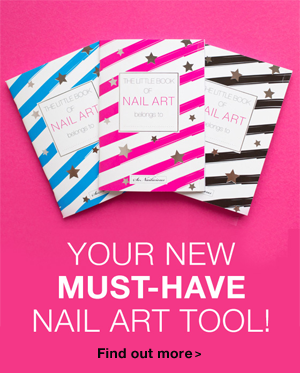 With the new SoNailicious stickers you’ll be able to create flawless summer manicures in minutes! 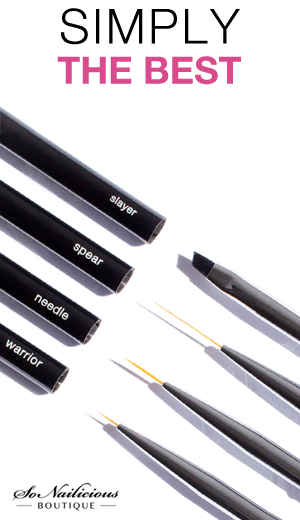 Zero drying time – say goodbye to smudged lines forever! Ultra thin and super flexible – undetectable on nails! Hope will you enjoy using the new nail stickers as much as I do! 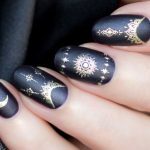 Below you’ll find a few nail art ideas with the new collection, or head over here to see and shop the entire range. As you see the possibilities are endless! With the new SoNailicious stickers you can create so many advanced designs in minites. All you need is to paint your nails, wait till they are completely dry, attach stickers and seal it all with a top coat. Done! 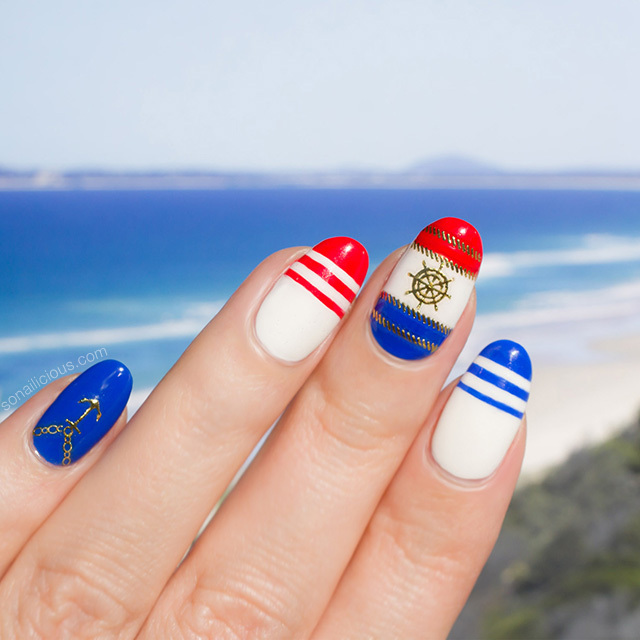 Starting from next week, (just in time for your nail stickers to arrive! ), I’ll be showing different nail tutorials to help you with the designs even more. Availability: The SoNailicious Stickers are available globally now via SoNailicious Boutique. Get the entire collection for $59.90 ALL-in-ONE set – save $35. Go sticker-crazy and order the awesome PRO set for $79.90 and save $60! LAUNCH SPECIAL: to celebrate the launch of the new collection with you, I’m offering FREE SHIPPING on all nail sticker sets and all orders over $20! Simply use code SUMMER2018 at checkout to receive free shipping. Please note this offer is valid for 2 days only and ends on 08/06/2018. Pro tip: The Free Shipping code works for the entire nail art range (brushes, foils, stencils!) as long as your order contains any of the new stickers… So shop away, it’s free shipping baby! Thank you once again for the incredible support. I hope you’ll love the new SoNailicious stickers as much as I do! P.S. 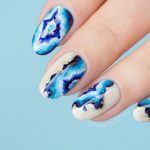 I’d love to see what nail art you create with your stickers! Use the hashtag #SoNailiciousStickers and tag @So_Nailicious in to share photos of your manicures with me. 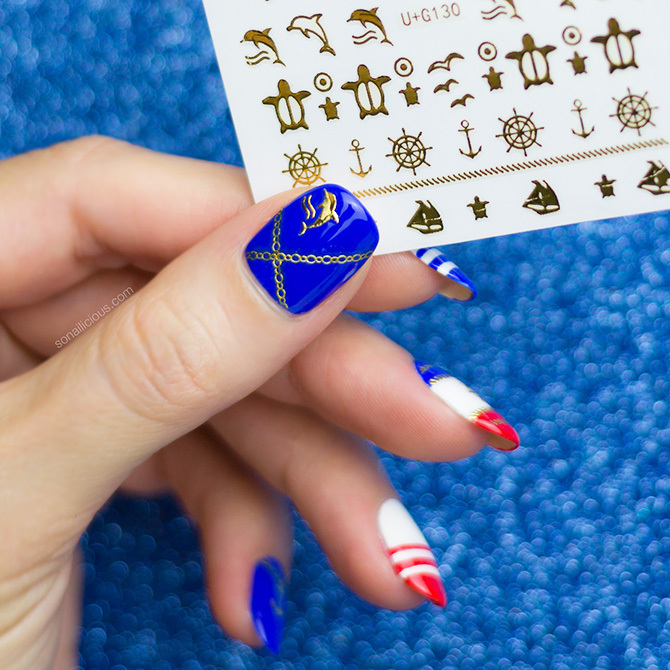 Meet Your New Favourite Nail Art Accessory: the SoNailicious Stickers!